Being closer to Turkey than the rest of Greece this area stays warmer for longer. A windy destination for experienced sailors, the meltimi blows through the islands reaching its peak in July and August with an average wind speed of force 4 – 6, with occasional gusts up to a force 7. It pays to pay attention to weather forecasts in the local area. At the beginning and end of the season, May and October, you will find an average wind speed of force 3 – 5. When you arrive in Rhodes, it's a nice short transfer to the base and once here you'll be met by the charter company. 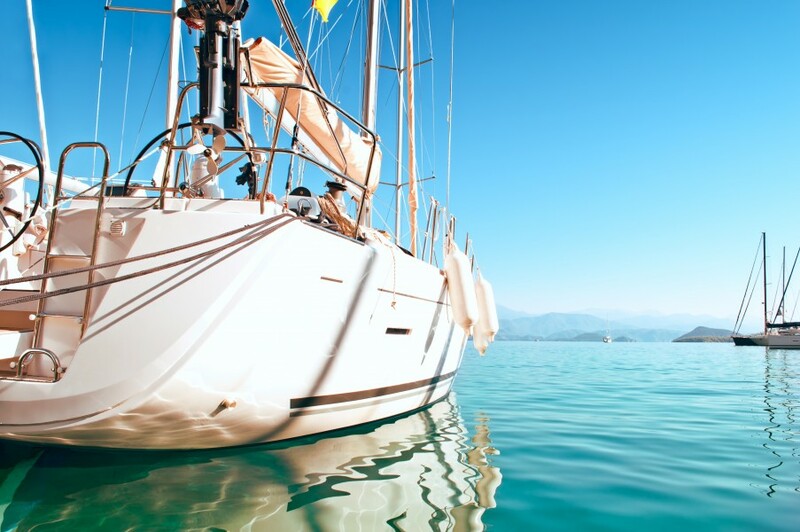 After they've completed your paperwork you'll be shown to your boat and after a quick briefing it's over to you! 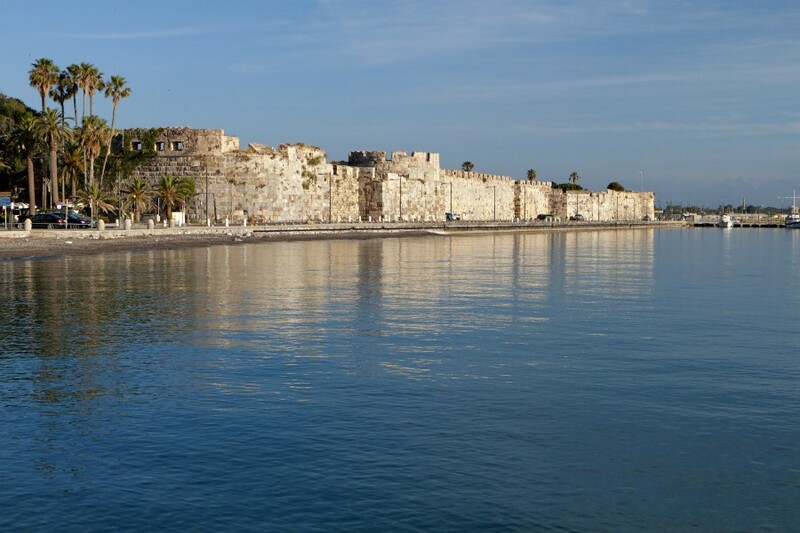 There's plenty to do on your first night in Rhodes, the Old Town is a UNESCO protected heritage town and it's also the largest medieval town in Europe and we recommend going for a walk along the moat walls which give great views out to sea. 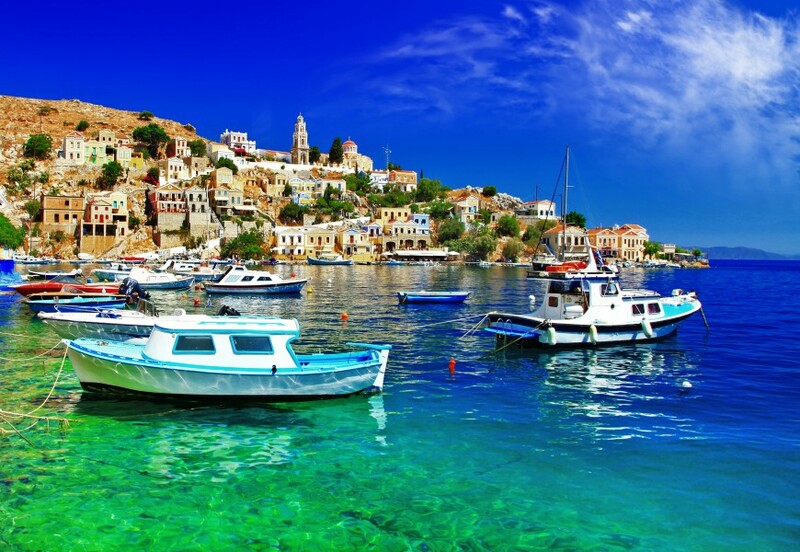 On your first days sailing why not sail north to Symi. It's just over 20 miles and when you get there the colourful mansions that are sprawled up the hillside give quite an impressive entrance. Toli Bay is a beautiful beach which is hard to reach from inland making it private and calming. From Symi head west over to the island of Nisyros. Here you can choose to stay in either Mandraki or Pali. Mandraki is the main harbour on the island and has lovely white washed houses lined pebbled streets that lead to some fantastic tavernas and bars. From Nisyros head north to Kos. It's around 10 miles and once you get there you'll be spoilt for choice of great bars and restaurants to try out. Whether you go to the Turkish quarter or the Italian influence there's a wide variety of cuisine to try here. 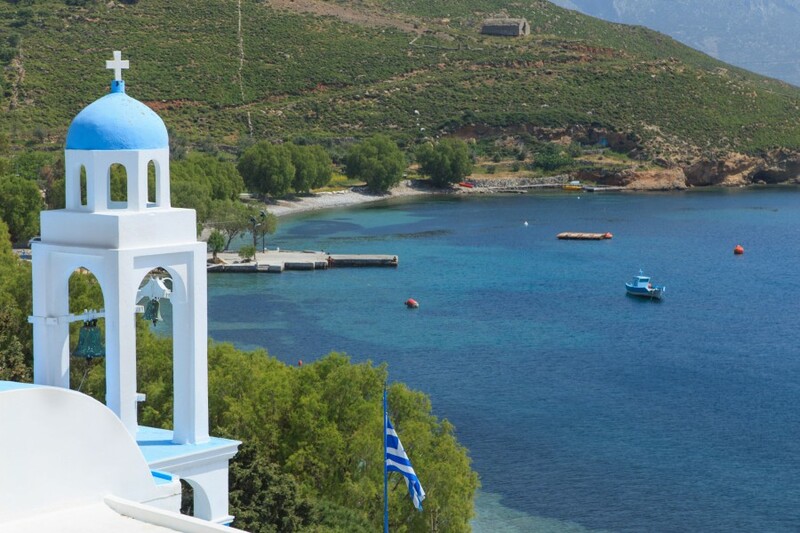 After you've explored Kos head south for around 20 miles down to the island of Tilos. A great harbour to moor up in Livadhi and although it might not look like there's much on Tilos, Livadhi has some great seafood restaurants. You can also head inland on the minibus to the capital Megalo Chora. On your last island hop before heading back to Rhodes why not pop south to the island of Chalki. Less than a 10 mile sail from Tilos, Chalki is a lovely small island off the beaten track and has only one town on the island. 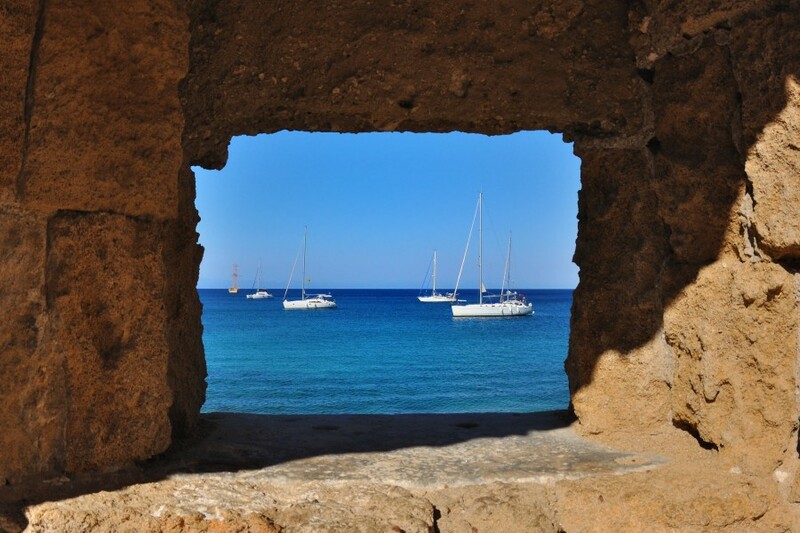 Nimporio town has lots of great tavernas along the promenade and some stunning beaches too, such as Giali and Potamos. On your last day it's time to head back to Rhodes. Most charter companies like you to be back in the marina between 4-6pm and this gives you an entire evening to have one last feast before heading home the next day.